This Driver Awareness Training Course is for anyone who drives as part of their job. It looks at legal requirements and responsibilities involved in being a safe driver. It also covers what to do if you breakdown or have an accident. Its high-quality has been highlighted with a stamp of approval from IOSH. 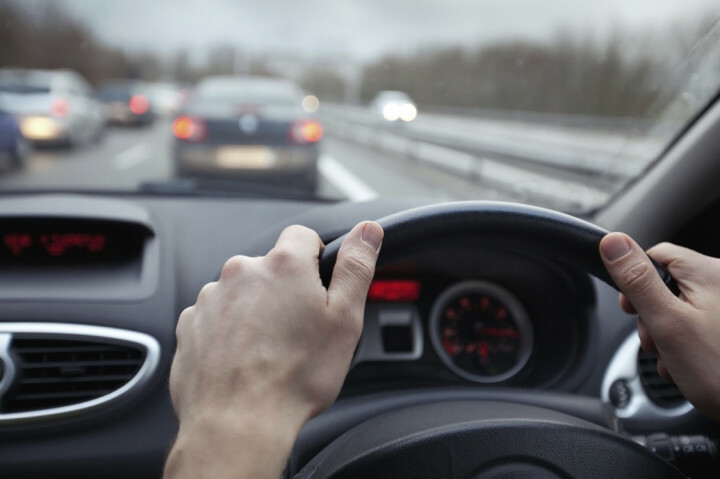 Driving is something you probably do almost every day and it's easy to become complacent, particularly if you are regularly travelling the same route. This driver awareness programme aims to be a good reminder of general road safety - things you can do to keep yourself and other road users safe. If you drive 25,000 or more work-miles, it's probably the most dangerous part of your job. Every week, around 200 road deaths or serious injuries involve someone driving for work. With around 3 million company cars on the road, 1 in 3 will be involved in an accident of some kind every year. This driver awareness training programme aims to highlight some of the daily risks when driving. It's about promoting an awareness of what's going on around you, where the other drivers and road users are, what they are doing and what they might do next. It's also about properly preparing for a journey and checking your vehicle, as well as knowing what to do in case you are involved in an accident. This course is split up into 5 sections: Your responsibilities on the road, driving safely, making your journey safe, ensuring your vehicle is safe and what to do in an accident or breakdown. It's perfect those driving as part of a commercial fleet or for those who regularly go 'offsite' as part of their job. However, it doesn't have to be used in conjunction with work; It also acts as the perfect refresher for ANYONE that drives regularly, be it on business or not. The Driver Awareness Training course is broken down into 5 sections. In this section we detail the rules and who is responsible when you are driving as part of your work. We look at policies and risk assessments and we cover the legal rules and restrictions, such as wearing seat belts, using mobile phones and drinking alcohol. This section is about safe driving. It looks at YOU and how you drive. It includes defensive driving, stopping distances and hazard awareness. There is a hazard spotting 'quiz'. What makes us take more risks when driving for work? In this section we look at situations in which you might drive for work when you wouldn't outside of work, such as in poor weather conditions or when you're feeling unwell. We look at the pressure of completing a task on time. We look at driving in unfamiliar places or in unfamiliar vehicles. We list the basic checks which must be done and look at seat adjustment for good posture. We suggest items you may need to carry as an 'emergency' precaution. If the worst happens and you are involved in a road traffic accident or if you breakdown, you need to know what to do and how to stay safe while you do it. This section includes printable collision report forms. This Driver Awareness Training course concludes with a 20 question multiple choice test with a printable certificate. In addition, brief in-course questionnaires guide the user through the sections of the training and are designed to reinforce learning and ensure maximum user engagement throughout. Your Driver Awareness Training Certificate includes your name, company name (if applicable), name of course taken, pass percentage, date of completion, expiry date and stamps of approval or accreditations by recognised authorities. Based on 562 real user reviews. Little real life practical training. too long...modules could be condensed....having 48? I think is too many. Slightly longer, and less is better. Highways Agency became Highways England in 2015. Whilst the voice-over uses HE, the images use HA. this is confusing. Equally question 19 - I disagree - you shouldn't always try to exit your vehicle if you're in lane 3 on a busy motorway...first step is call for help; leaving veh could be more dangerous for certain drivers. Read our full reviews for Driver Awareness Training. The Health and Safety at Work Act 1974 is there to make sure there are high standards of health and safety at work and that employees and the public are protected from anything related to work activities. This includes driving. Everyone has a duty to comply with the Act and if you drive unsafely at work, even if you’re driving your own car both you AND your employer can be prosecuted. You also have a responsibility to ensure that others are not put at risk by your work-related driving activities. Employers have duties under health and safety law for on-the-road work activities. The Health and Safety at Work etc Act 1974 (HSW Act) states you must ensure, so far as reasonably practicable, the health and safety of all employees while at work. You must also ensure that others are not put at risk by your work-related driving activities. The self-employed have similar responsibilities. You also have duties under road traffic law: The Road Traffic Act and the Road Vehicles (Construction and Use) Regulations, which are administered by the police, and other agencies such as the Driver and Vehicle Standards Agency (DVSA). In most cases, the police will continue to take the lead on investigating road traffic incidents on public roads. HSE will usually only take enforcement action where the police identify that serious management failures have been a significant contributory factor to the incident. If one of your employees is killed, for example while driving for work, and there is evidence that serious management failures resulted in a ‘gross breach of a relevant duty of care’, your company or organisation could be at risk of being prosecuted under the Corporate Manslaughter and Corporate Homicide Act 2007.
Who should take our Driver Awareness Training? This training is suitable for anyone that drives as part of their job, be it in a commercial fleet or if they regularly go ‘offsite’. The course highlights some of the everyday risks associated with driving and promotes awareness of what is going on around you. Did you know? 1 in 3 will road users be involved in an accident of some kind every year and around 200 road deaths or serious injuries involve someone driving for work. It is therefore essential training for anyone that drives as part of their job. Driver Awareness Training is required to help prevent accidents on the road and teach you what to do in worst case scenarios and emergencies. Almost 1 in 6 jobs in the UK involve driving - training is essential for these people, it’s so easy to slip into bad driving practices and our course also acts as a great refresher.